January 27, 2012  After more than a century of providing services for immigrants and the poor, the organization founded by Nobel Peace Prize winner Jane Addams is shutting down. The Jane Addams Hull House Association has struggled financially in recent years. January 24, 2012  Several states are now pushing forward with plans to offer lotteries on the Internet. That's in the aftermath of a federal ruling that states are free to conduct online gambling within their borders. But some worry it opens the door to new bankruptcies and addicted gamblers. December 27, 2011  Sears Holdings announced Tuesday it will shutter at least 100 stores as a cost-cutting measure following a disappointing holiday season. The retailer's namesake Sears and Kmart stores have struggled against competitors such as Wal-Mart, Target and Home Depot. Sears says it will save as much as $170 million through the store closings. It did not say how many employees will lose their jobs. December 8, 2011  Former Illinois Gov. Rod Blagojevich has been sentenced to 14 years in federal prison following his bribery and extortion convictions. He is expected to begin serving the sentence in February. December 6, 2011  A hearing that will determine the sentence for former Illinois Gov. Rod Blagojevich begins Tuesday. The ex-governor, convicted on corruption charges, is expected to testify. November 17, 2011  Occupy Wall Street protesters in Chicago mark the movement's second month. November 13, 2011  The rental market provides an alternative for many owners whose homes aren't selling during the housing downtown. 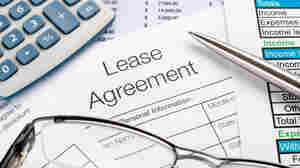 But being a landlord can have unanticipated challenges. November 11, 2011  This year's Pulitzer Prize-winning play "Clybourne Park" takes place on Chicago's Northwest Side on two distinct afternoons: one in 1959, the other in 2009. Inspired by the Groundbreaking drama, "A Raisin in the Sun," "Clybourne Park" highlights the politics of race and gentrification. October 31, 2011  It's map-drawing time as cities and states create new political districts. In Chicago, where blacks left in droves during the past decade and the Latino population rose, city leaders are redrawing the boundaries of the 50 wards. What's at stake is representation and political clout. October 12, 2011  The Cook County sheriff's office in Illinois has launched a new effort to identify eight unidentified victims of mass murderer John Wayne Gacy. The department wants relatives of men who disappeared between 1970 and 1978 to participate in saliva tests to compare their DNA with that of the victims' bones. 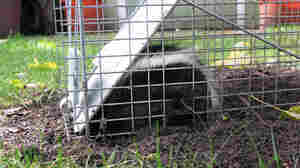 September 29, 2011  Though the Illinois Department of Natural Resources can only guess at the number of skunks in the state by counting roadkill, officials and residents of Chicago say they see — and smell — a dramatic increase in the number of skunks. 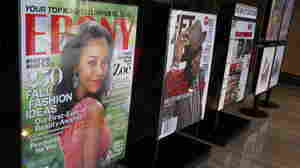 September 22, 2011  After a tough few years, Johnson Publishing says it has righted its course — revamping its flagship titles and selling an equity stake in the iconic black-owned company to raise money for brand-building. 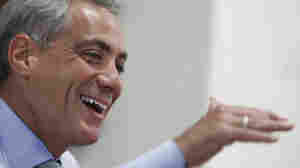 August 23, 2011  Former White House Chief of Staff Rahm Emanuel served two presidents, represented Illinois in Congress, and on Tuesday, will mark his 100th day as mayor of Chicago. He promised early to put his own mark on Chicago as he took on the city's challenges. Some think he's succeeding.